JNN 21 Sept 2014 Yaoundé : Wahabi Boko Haram Takfiri terrorists have killed four people in a village in northern Cameroon. The Takfiri Terrorists attacked the village of Ganse on Thursday. “They shot three people and slit the throat of another,” said a local leader. Boko Haram also clashed with Cameroonian soldiers in the village of Assighassia. Two members of Boko Haram were killed and a Cameroonian soldier was injured in the clashes, according to Cameroon police officials. In July, the Boko Haram Terrorists raided the village of Kolofata. Several people were killed and a number of villagers were kidnapped, with some still missing. Thousands of Nigerians have fled to northern Cameroon in recent weeks in the wake of advances by Boko Haram. According to the UN Refugee Agency, almost 650,000 Nigerians have been forced from their homes by Boko Haram attacks and are displaced inside the African country, while thousands more have taken refuge in neighboring states. 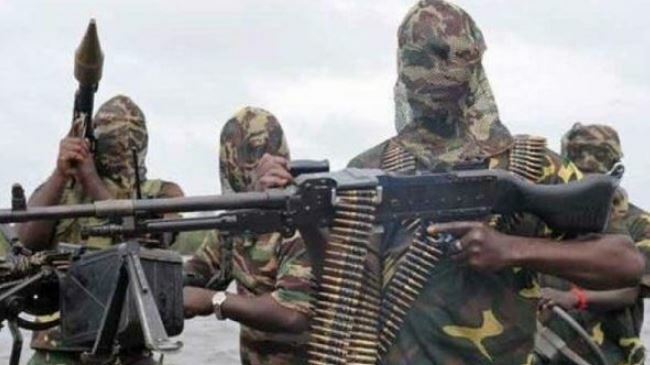 The group has claimed responsibility for many deadly shooting attacks and bomb blasts in various parts of Nigeria since the beginning of its operations in 2009. More than 10,000 people have so far been killed in the attacks. This entry was posted in AFRICA and tagged Africa, Boko Haram, Nigeria, Terrorists. Bookmark the permalink. Name: zaheerhusain Email: zaheerhusain@hotmail.com Website: http://zaheerhusain.wordpress.com Comment: WELL FROM BOKO HARAAM , WHAT CAN YOU EXPECT OTHER THAN HARAAMI PAN , FOUR IS A VERY SMALL NUMBER THEY HAVE BEEN KILLING AND KIDNAPPING AND HAVE DONE THOUSANDS . THE MOMENT THE FILTHY EXISTANCE OF ISIS, ISIL IS FINISHED , THERE WILL BE AMAN PEACE IN THE WORLD THEY WILL ALS GO , U.S. CREATED THEM THEY HAVE RESOLVED THEM TO FINISH TO THE LAST. LET US SEE KISSMAY KITNA HAI DUM . .